Thanks everyone who attended the 3rd segment of my 3-part DBA Performance webinar series. I enjoyed delivering them and hope you found them informative and useful. You can find the recording here and the presentation slide deck here. And since we didn't have enough time to answer all the questions that were posted, I wanted to provide those answers here. Thanks again to everyone who attended any of the events and I look forward to doing more in the future. Stay tuned! A: Any query can be optimized in one way or another, but I'd suggest that you check out the following link to a question posed on the Oracle Forum about spatial performance: https://forums.oracle.com/forums/thread.jspa?threadID=494768. Q: Could you pls repeat when an SQL will be monitored automatically? A: Queries that run in parallel or any query that consumes 5 or more seconds of CPU or IO time. Q: How did you arrive at 10ms time for one row index maintenance? A: The 10ms time is from the book I referred to (Relational Database Index Design and the Optimizers). It is a combination of Queuing time, Seek time, Disk rotation time and Transfer time. Remember that it is intended to be used for doing estimated calculations; your mileage may vary. Q: Do you need SQL tuning license to use MONITOR hint? A: Well, you could use the MONITOR hint, but you just couldn't view the SQL Monitor reports of the collected data. So, I suppose you could imply that you couldn't/shouldn't use the MONITOR hint if you don't have the appropriate Tuning Pack license. Q: STA will recommend new indexes in isolation for just one query. Doesn't it? That may not be useful when you have got to worry about 10 different queries accessing one table. A: Yes, STA isn't looking at index creation from a system-wide view. 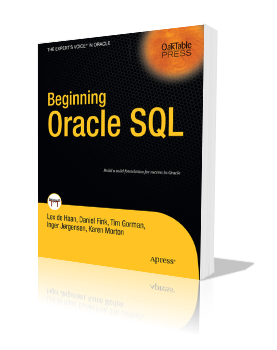 It only looks at the one SQL statement and determines if a non-existing index might provide better performance. It cannot tell you what the creation of that index will do, either to the good or bad, for other queries. In the end, it is your responsibility to thoroughly test any index creation or modification in a representative environment to determine the effects. A: I'd actually investigate other ways of performing loads, like using partition exchange, if possible. I do not know a way around the unusable index problem so I'd suggest investigating how to change your load process to avoid having to use that method. Q: What is desired way to do benchmark and compare of SQL performance? 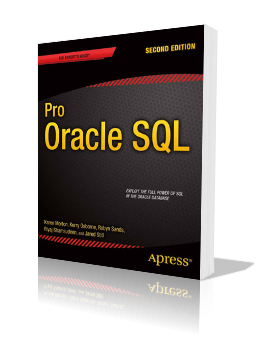 A: In part, the most appropriate way to benchmark SQL performance will depend on your specific circumstances. If you have an application that has been running in production for a while, you can use AWR data (or Statspack if you're not licensed for AWR) to retain execution information and do comparisons over time. If you're developing new code, you may have Performance SLAs (System Level Agreements) that specify the expected response times. In that case, testing would be evaluated against those metrics. But, regardless of your situation, you need a baseline measurement that is the expected/desired response time and then all tests must meet those minimum standards. You need to be able to measure performance under load and with representative data volumes to do this well. And, you have to keep in mind that response time isn't just about 'now', it's about the future as well. Testing must help ensure that performance will remain stable over time as user load and data volumes increase. Q: Does join order still matter in 11gR2? A: Not really and actually it (theoretically) mattered since the optimizer began using CPU costing and not just IO costing as early as Oracle version 9. The optimizer will use statistics to evaluate and weight various join orders and doesn't just evaluate joins in the order the SQL is written. For my own purposes, I typically try to write SQL in the order I "hope" it will get executed. If what I hope for and what actually occurs don't match, then I work my way through the differences. But, there is not a limit to what the optimizer will chose based on the order the SQL is written. 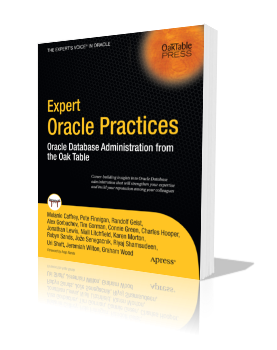 Q: Does Oracle engine have a process that collects statistics information near real time so that CBO can always get the latest and correct information? A: There is a default stats collection job that runs in a nightly maintenance window. This job will check the staleness of the statistics and collect updated stats if needed (by default, statistics are considered stale when the table has changed by 10%). But, there is no automated way in place to collect "near real time" statistics. Of course, you could set up collections to occur as frequently as you wish, but due to the overhead required to do collections, most people don't collect stats except during non-peak times. Q: What was the title of the database tuning/index book Karen mentioned? Q: In terms of Disk I/O versus Memory, have you seen an increase when adding more I/O or Memory to improve database performance? Or does it depend on a OLTP / OLAP? A: Well, the only way to know if adding disk capacity or memory will help improve your performance footprint is to know if either disk IO or lack of memory is a bottleneck for you. If your bottleneck is CPU, then obviously adding disk or memory isn't going to fix your problem. So, my answer is the old consultant stand-by of "it depends". If you have a known issue with disk capacity or memory, then adding more of those resources should give you more breathing room. But, if you add those resources and something else is your main bottleneck, then you won't really see much improvements. A: I'd go so far as to say there's only one thing you need to look at and that is where is the most time and resources consumed in the plan? If you gather the appropriate execution plan data that includes rowsource execution statistics (using gather_plan_statistics or monitor hints for example), then you will be able to quickly find the lines of the plan that are your "big hitters". Once you have that, you must work towards reducing the time and resources consumed by that step. After you fix that, then you can check again and see where the most time is then spent. Keep going until you meet your SLA or can make no further improvement. Admittedly, just finding the "big hitter" steps in the plan is easy, but knowing what to do once you find them is the hard part. For that, I'd suggest learning as much about the optimizer and SQL execution fundamentals as you can so you'll be more adept at knowing what to do when you find a problem.